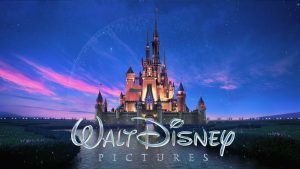 Walt Disney Co. (NYSE:DIS) has reached a deal to buy the entertainment assets of Twenty-First Century Fox Inc. (NASDAQ:FOX), the media empire controlled by Rupert Murdoch, in an all-stock transaction. Disney will give Fox shareholders 0.2745 shares of Disney for every share of Fox owned. The deal values Fox stock at $29.54, nearly 10 percent less than Fox’s pre-market price of $32.40. Disney CEO and chairman Bob Iger stated that James Murdoch, chief executive of 21st Century Fox, will assist in the transition. To complete the integration, Iger is delaying his retirement from July 2019 to the end of 2021. The agreement is subject to the approval of antitrust regulators. Iger has expressed confidence about winning their approval. This acquisition is larger than Disney’s Pixar and Marvel buys combined. The purchase includes the rights to X-Men, Avatar, The Simpsons, Deadpool, and Fox Animation hits such as Trolls and Ice Age. The Fox television studio currently has 36 series in production. Disney will also own Fox’s stakes in European pay-tv giant Sky, Star India, and FX. By announcing an ambitious plan to introduce two streaming services by 2019, Disney is acknowledging that the future of television and movie viewing is online. Cable subscriptions are now in decline as people turn to streaming services for home entertainment. Disney’s first major streaming effort, ESPN Plus, will arrive in the spring, while a second and still unnamed offering, built around the Disney, Marvel, Lucasfilm and Pixar brands, will roll out late next year. Fox will retain its broadcast networks and stations, including Fox News, Fox Business, and the FS1 sports cable channel. Those businesses and a handful of other properties, including the Fox lot in Century City, will be spun off into a newly listed company. The “new” Fox will be newly listed and shares will be given to current FOX stock owners. Mr. Murdoch will also still control his newspaper-focused company, News Corporation, which includes The Wall Street Journal in its holdings.